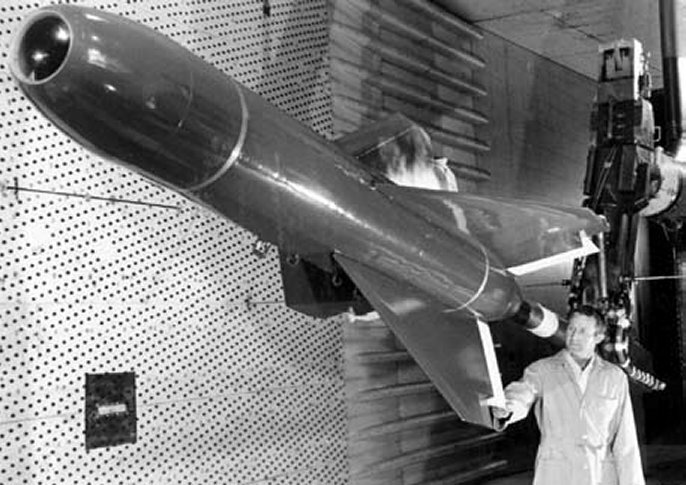 In 1963, the development of the self guided glide bomb for the USN began. The USN by 1964 asked three different companies to submit designs, Martin Marietta won the contract. In 1966, Martin Marietta began production of the Walleye. Before the end of 1966, Walleyes had begun to be used during Vietnam, they were extremely effective against bridges, railways, power plants, and other targets requiring high accuracy. By 1968, a longer ranged and more accurate version was needed. The Walleye II was delayed due to funding issues after the withdrawal from Vietnam. In 1975 a extended range data link was added allowed the WSO or pilot more control of the weapon in flight and also allowing another aircraft to target the weapon. The Walleye's target system was not much different similar weapons of second world war. The pilot or WSO using the Walleye's internal camera locked on the target, the weapon was then released. While in flight, the pilot could watch the Walleye glide to target and if necessary correct the weapons trajectory. With the development of the Walleye II in progress during 1970, the USN also developed a nuclear capable version, both version were capable carrying a W-72 nuclear warhead with a yield of 100 kilotons. These weapons were subsequently retired after 1979. The Walleye has the distinction of being the only precision guided nuclear weapon ever used by the US military.